A lot of activities help in the development of fine motor and writing skills, including weight bearing on the hands, postural control and shoulder stability, and muscle development. There are also many components of fine motor skills, some of which are, development of the arches of the hands, the thumb and its webspace, separation of the two sides of the hand, which helps with in-hand manipulation, bilateral integration, and the development of hand and finger strength. 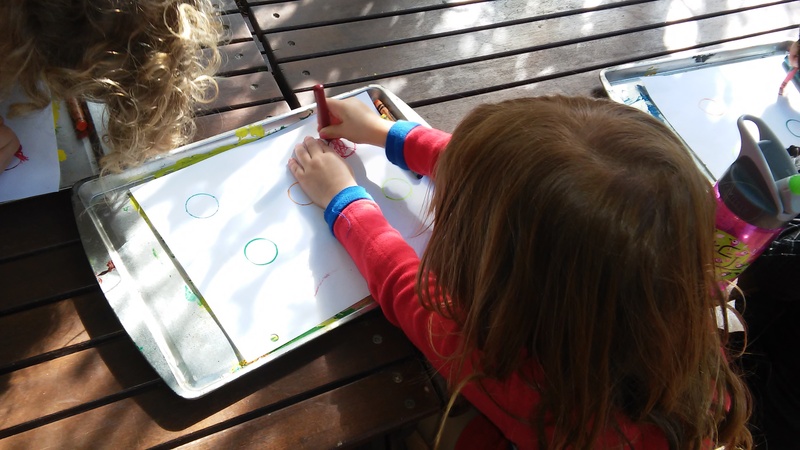 This activity required your budding writers to fill in different colored circles with a crayon. 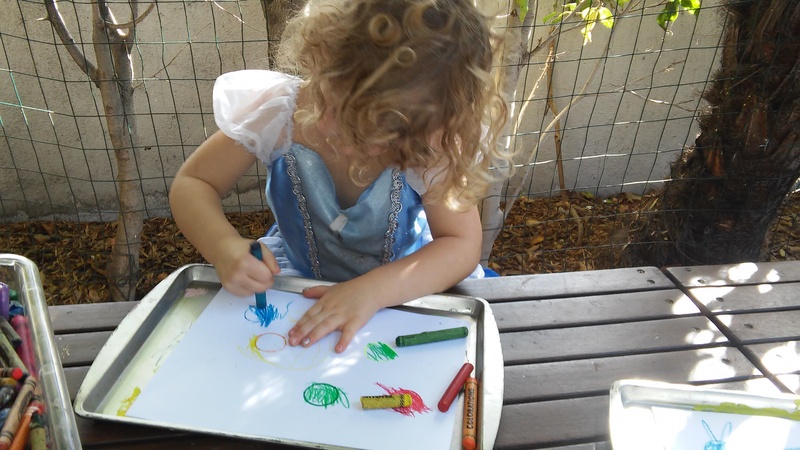 Holding a crayon is self-corrective, which means that there is only one way to grasp it properly, Because we are continuing to promote the tripod grasp, we are constantly doing activities to develop this. Your little ones were also directed to form concentric circles, which aided the progression of hand strength and finger grip. 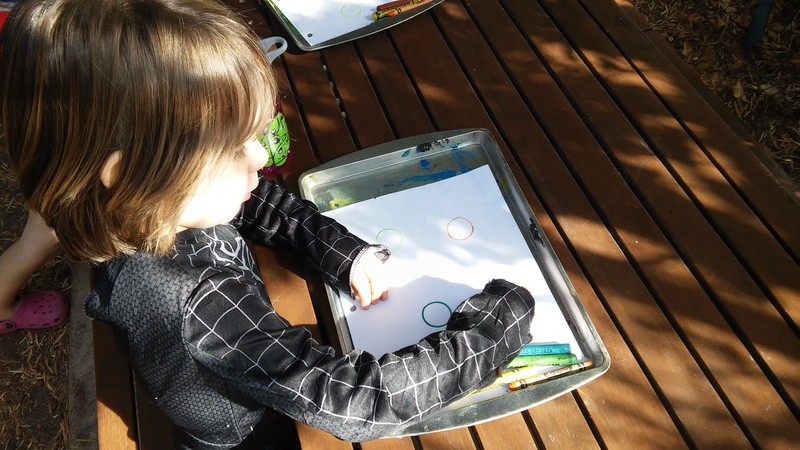 Lastly, they were given five different crayons to match the five different circles on their papers, which involved significant pre-math skills, such as recognizing visual patterns, sorting objects, and one-to-one correspondence.